Michelle joined Goodwork Staffing as a Staffing Specialist and began as a temporary employee. In April 2015, she was hired on to the team full-time. 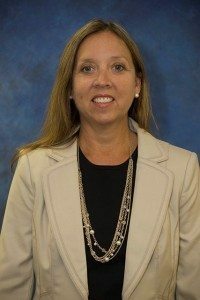 Her career in the staffing industry began in 1995 when she started work at a staffing firm as a Staffing Assistant in Concord. After being promoted, Michelle transferred to the North Charlotte area. In 1998, she was promoted at the firm to an Operations Supervisor over two offices. In November 1998, Michelle made the decision to leave work and stay home to raise her children. While at home, she was an active volunteer in her children’s schools and her church. She also ran her daughters’ summer league swim team, was a member of the Junior Charity League of Concord, and the treasurer for the Concord Middle School PTO. Michelle loves doing anything with her family. She enjoys exercising and being outside. On the weekends, you will probably find her at the gym, at her daughter’s soccer game, or at the pool.